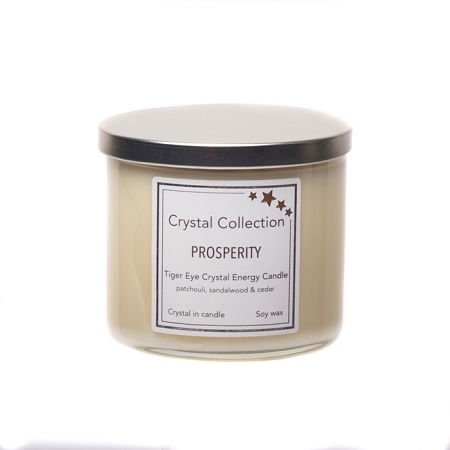 Prosperity energy candle has a fragrance blend of patchouli, sandalwood and cedar. 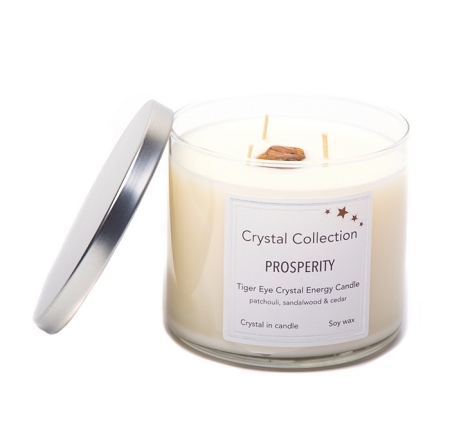 Tiger Eye crystal in rich shades of browns and golds, brings prosperity often in the form or money. 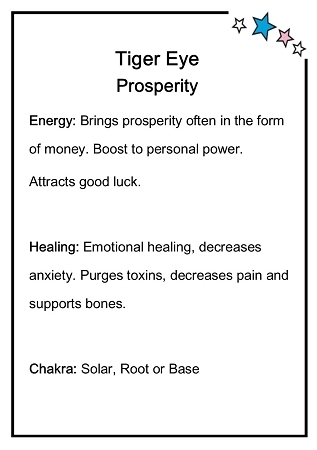 It boosts personal power and attracts good luck. 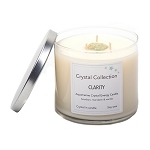 Each candle comes with with the crystal's description and use on a hang tag card. Soy candle with three wicks measures 3.5 inches tall by 4 inches wide.